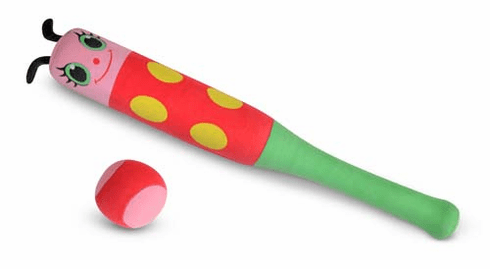 The hits will keep on coming when your little baseball player has this brightly colored padded bat in hand. Over 20" long, the bat is decorated with Mollie's smiling face. The color-coordinated ball is light and easy to pitch and hit.